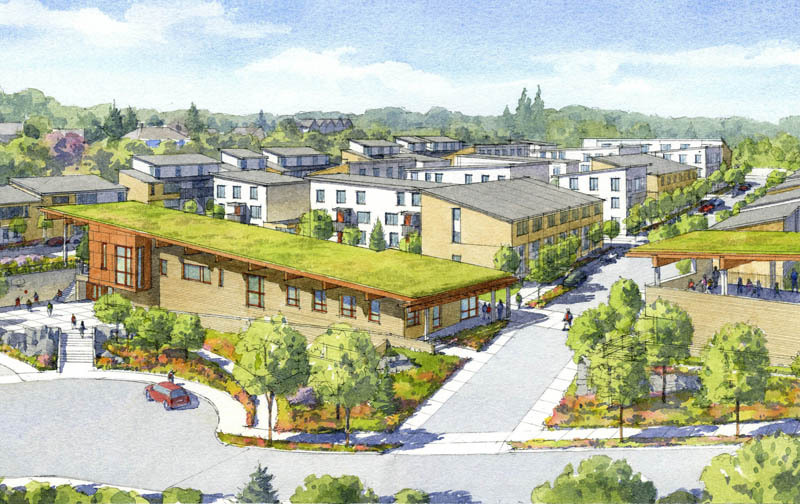 Construction is complete on a completely new, accessible and sustainable apartment community to replace the isolated 1968 Hillsdale Terrace public housing community in southwest Portland’s Multnomah neighborhood. Originally built into a damp, steep location using mold-prone cinder block, Hillsdale Terrace had a long history of maintenance and accessibility issues that made it one of our highest redevelopment priorities. 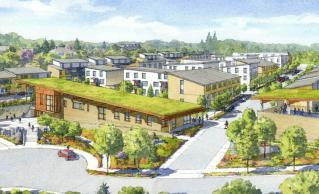 In Fall 2010, Home Forward submitted a successful HOPE VI grant application, resulting in the start of new construction in spring 2012. New residents began moving into their new community, named Stephens Creek Crossing, in January 2014. The Childrens Center, which serves as the gateway to the community, opened in September 2014. Community and Supportive Services: A focus on three key areas will help residents during relocation and upon their return – 1) job training and career advancement; 2) early childhood education; and 3) health and community connections.